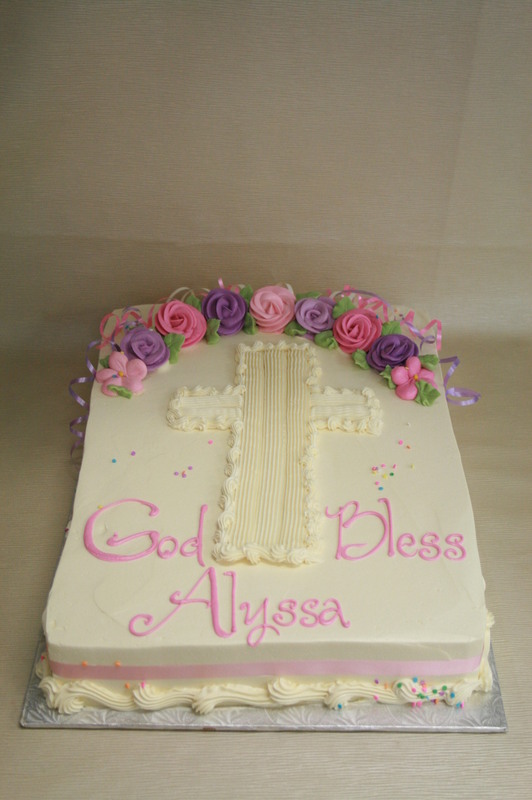 This design features a crescent of buttercream flowers and a vanilla buttercream standard cross in the center. 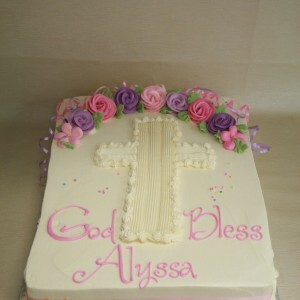 Includes customer’s choice of pastel shades of buttercream flowers. Shown as a 1/2 sheet cake frosted in vanilla buttercream with shades of pink and lavender flowers. All flavors and sizes available if ordered by Wednesday for the weekend. Limited flavors and sizes with 24 hour’s notice.